Hello everyone! 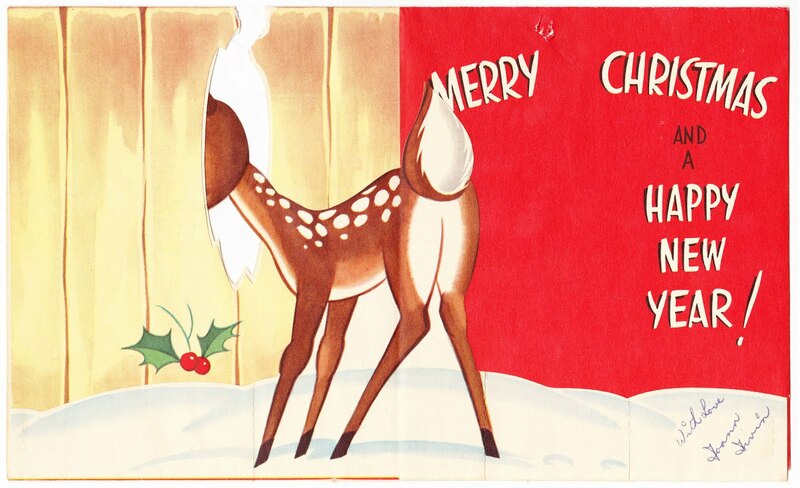 Hope you are having a wonderful holiday season. We got a little bit of snow here in southcentral Pennsylvania on Christmas Eve and again on Wednesday. But not nearly enough to build the kind of snow fort my daughter has been wanting since I made her one in February 2010. 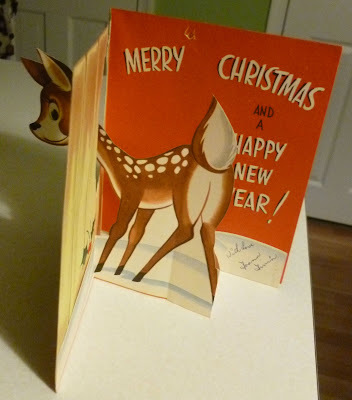 Today's "MADE IN U.S.A." vintage greeting card has a bit of a three-dimensional effect to it. 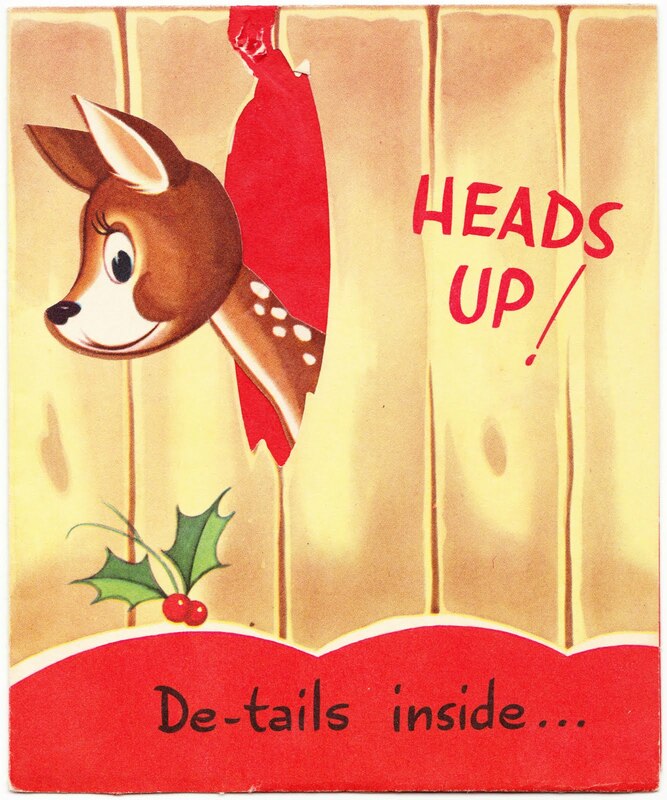 On the front, a cheerful young deer is poking its head through a hole in a fence. (Because deer do that all the time.) The front of the card states "HEADS UP!" and "De-tails inside..."
As you open the card, the way it has been folded gives you the aforementioned 3-D effect. I imagine this is the way the card was meant to be displayed on a table or shelf. Get it? It's a pun. Or maybe a palindrome? No. A palindrome of de-tail would be liated. And that's just silly. That is quite adorable! My granddaughter would have laughed herself silly over that pun. She is 5 and really getting into wordplay.